Growing up, one thing my mom always told me was,"Don't ever color your hair!" Well, I held off until I was about 23 and I've been coloring it ever since. I've got naturally dark hair with natural red highlights, but jumped on the balayage train for quite some time. Naturally, putting my hair through that kind of rigorous bleaching, eventually takes a toll. Not to mention, I shampoo, blow-dry and straighten/curl my hair everyday! 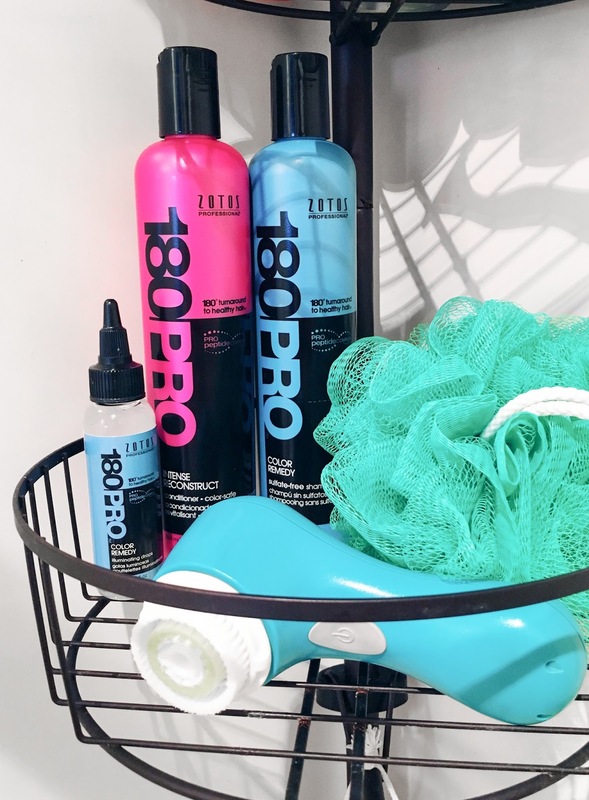 I was recently introduced to Zotos Professional and it's changed my haircare routine for the better! 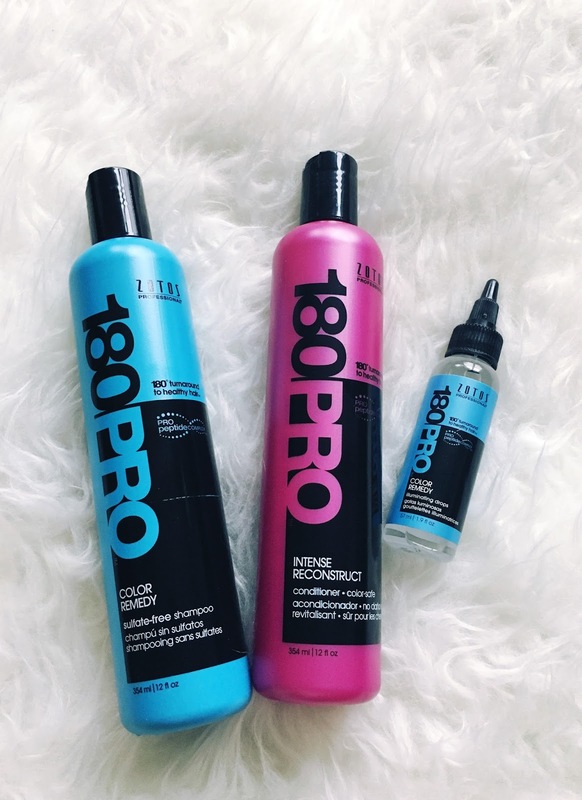 My go to is their Intense Reconstruct Shampoo, Color Remedy Conditioner, and Color Remedy Illuminating Drops. It is so important that I not only repair all the damage I've done to my locks, but make sure that our water doesn't make my color turn brassy. Zoos has done all of that and has even extended my monthly haircut!